I spent most of this past week not making a doll. I knew I wanted to make a doll. 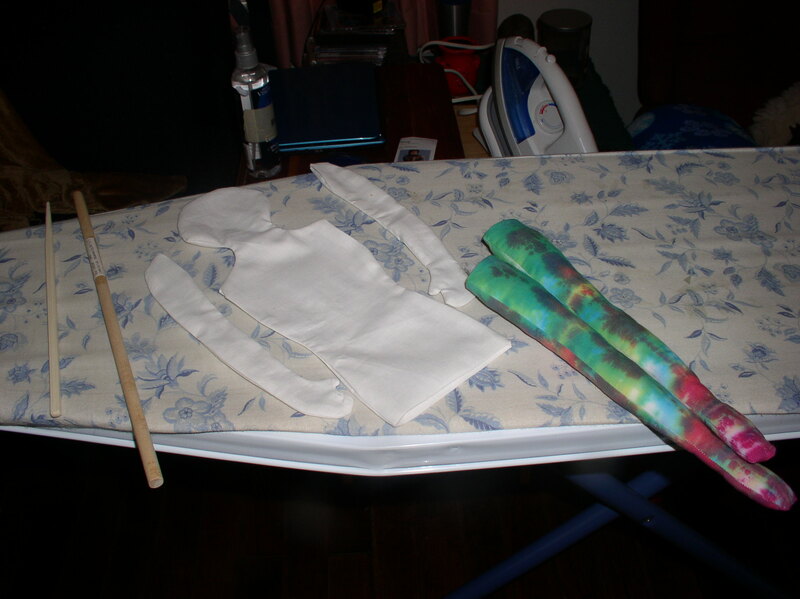 I had decided that it would be a cloth doll. I knew I wanted it to be a colorful doll. I was hoping for some inspiration about exactly what kind of doll it would be. 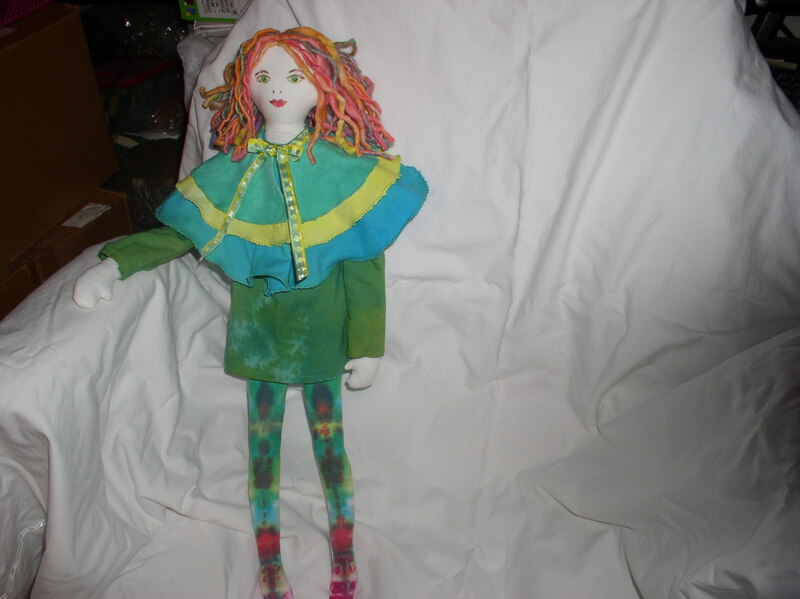 I procrastinated while I was waiting for this inspiration to show up, but by Wednesday, I knew I needed to get started, with or without inspiration, if I wanted to have a doll to blog about by Friday. I really wanted to have a doll to blog about by Friday. I decided that I was just going to force myself to start something – anything – and then my daughter called and asked me to take her to JoAnn. JoAnn sounded like a good place to look for inspiration, so I said, “Yes.” I knew I wanted my cloth doll to have yarn hair, so I thought I would look for the perfect yarn at JoAnn. I had yarn in my sewing room (a.k.a. The Temple of Creativity) but I wasn’t sure I had the perfect yarn. That was as far as I got on Wednesday. 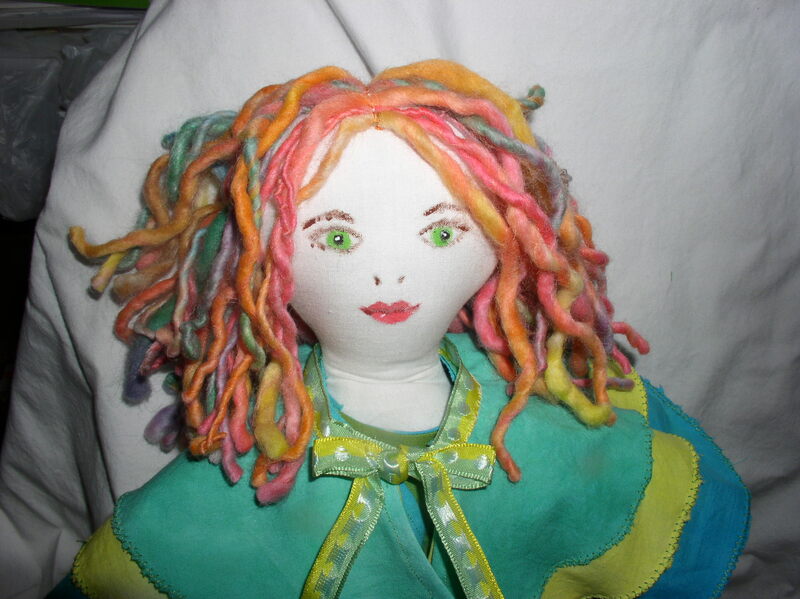 I went to bed that night thinking about my doll and inviting inspiration to visit me in my dreams, but my dreams did not include any dolls or people who might make interesting dolls. I woke up as empty of inspiration as I had been the day before, but I had to do something, so I pulled out some paper and started trying to come up with a pattern for a doll. I do not have mad skills when it comes to pattern drafting, so I kept the doll simple. The head, neck and torso were all one pattern piece, with the arms and legs as separate pieces. I worked on getting the basic doll together on Thursday, still hoping some inspiration might show up on Friday. I woke up this morning with no more inspiration than I had yesterday, but I did have a faceless, hairless doll and a lovely skein of yarn, so I decided it was time to start making that yarn into hair. That was when the little voice of inspiration finally spoke up. Well, it wasn’t exactly inspiration; it was the spirit of the doll and what she said to me was, “No.” She was not having that hair. I had bought it especially for her but every time I held it up next to her head, I felt a very strong negative reaction. That was not her hair. Now what? She didn’t want that hair, so what hair did she want and where was I going to get it? I took her into my Temple of Creativity and looked around. Something made me pick up a ball of fuzzy blue yarn. Did she want fuzzy blue hair? No, she wanted what was hiding under the fuzzy blue yarn – a ball of the most fabulously delicious hand-spun yarn I have ever seen. I had almost forgotten my precious stash of yarn that was spun by my online friend, Maitri. It was so gorgeous that I put it away and saved it for something special. Until today, nothing was ever special enough. She still won’t tell me her name, but she insists that this is her hair. I think she has a point. 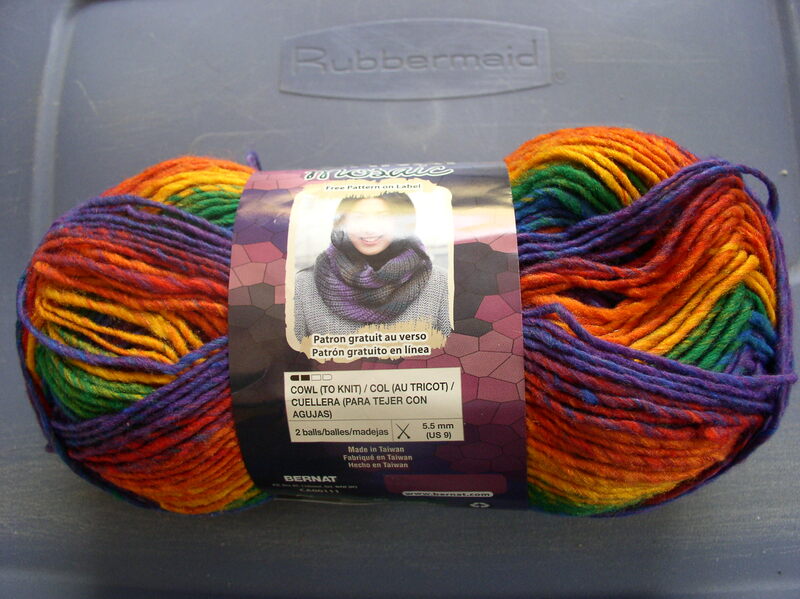 This entry was posted in Uncategorized and tagged creativity, hand-spun yarn on January 24, 2014 by releaf1954.